Hi all! For those of you living on the left coast, I will be giving two presentations in Northern California on February 15th, 2015. 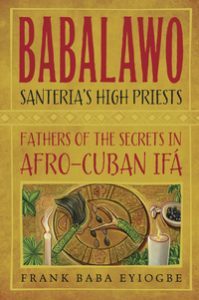 First will be a presentation called Odduns: The Core of Afro-Cuban IfÃ¡ at PantheaCon in San Jose at 1:30 PM. 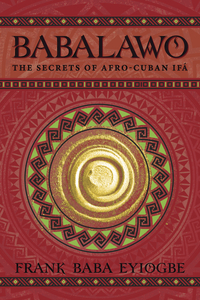 Focusing on the underlying concepts that make Afro-Cuban Ifa work, using tools such as the of Table of Ifa and the ecuele. Ifa is based on a binary system much like the ones and zeros that make up computer code. Evidence now reveals that underneath our reality there is a breathtaking world made up entirely of the ones and zeros forming the underlying fabric of the universe! A sample reading will also be performed. PantheaCon will be held at the Doubletree Inn, 2050 Gateway Place, San Jose CA. Go to http://pantheacon.com/wordpress/ for room location, cost of entry to the convention, etc. The second presentation is called Hacking the Universe and will be at the East West Bookstore in Mountain View from 4:30-6:00PM. 324 Castro St. Mountain View, CA 94041 (650) 988-9800. High Priests, in exploring how babalawos have been directly accessing and manipulating this vast program called the universe since time immemorial, by hacking the universe itself. This presentation is free, but they strongly recommend calling to reserve a seat. My name is Cecile. I came across your site while browsing for information regarding my odu, “EJIOGBE.” Need I say more? I guess I am looking for moral support. Please tell me, how do you cope? Strangers hate me! Sorry it took so long to reply, your comment was among literally over a thousand spam attempts… Exactly why do strangers hate you? Baba Eyiogbe is a very good oddun but can be a hard one to live right as it is extremely powerful for good or bad.